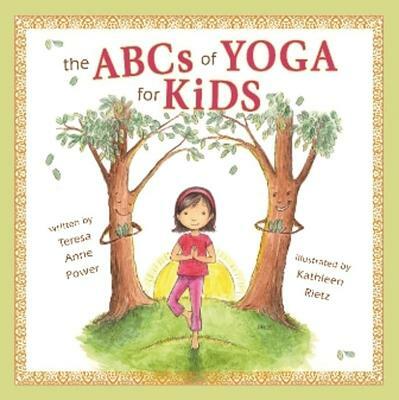 The ABCs of Yoga for Kids uses the alphabet, rhyming vignettes, and colorful illustrations to introduce children to yoga in a kid-friendly way. Each of the 56 different poses featured in the book delightfully promote flexibility, strength, and coordination while encouraging children to incorporate healthy activity into their daily lives. Yoga is a noncompetitive form of exercise, suitable for children (and adults) of all ages and athletic abilities. Any activity for young children is important because the nation, including our youth, is under siege by obesity, stress, and diseases like diabetes, which stem from poor diet and lack of exercise. Yoga for young kids will create good habits and a foundation for well-being. Children have a lot of fun learning new positions, new letters, and new ideas. This book will delight and bring joy to the early yoga practitioner. Teresa Anne Power has been practicing yoga for 30 years. For the past 10 years she has taught yoga to young children, both in school and local organizations, helping thousands of kids develop a healthy attitude towards their body. Teresa is a member of The Society of Children's Book Writers and Illustrators and The Independent Book Publishers Association. She has published yoga articles in Yogi Times Magazine, The Palisadian Post, and Violet Magazine, and currently writes for Examiner.com. Publisher: Stafford House Books, Inc.